Sure, the sounds and smells have something to do with it; but there’s a deeper reason why strolling through a park or hiking a forest trail imparts a sense of calm: Humans have a natural affection for plants and other living things, known as biophilia. It’s why simply being in nature can reduce stress. But what if you’re craving a deeper sense of calm but don’t always have time to lace up your sneakers? Simple: Just add some “nature” to your home or office. 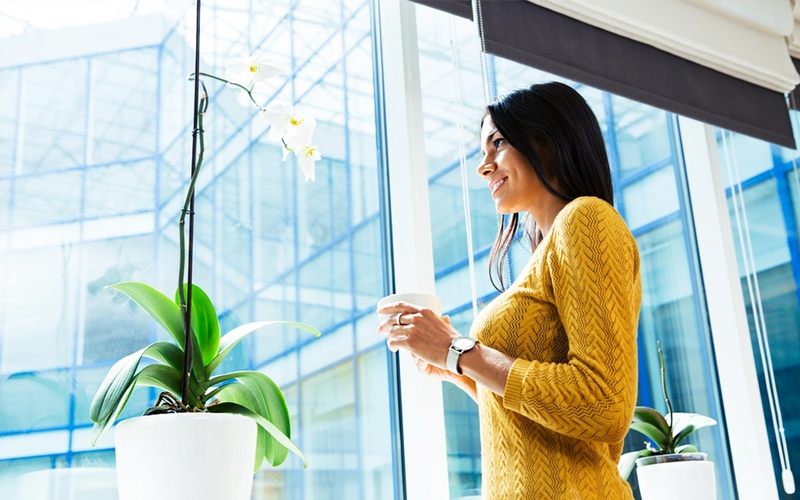 A number of studies have shown that surrounding yourself with houseplants, and even images of nature, can lower blood pressure, increase attentiveness, and improve overall well-being. So green up your environment, change your screensaver to a forest scene, and soak up the serenity. The takeaway is that even focusing on the idea of nature can be therapeutic.